This journey has been a true labor of love and has taken a lot of hard work, head scratching, and eye crossing but I couldn’t be happier with the way things turned out. 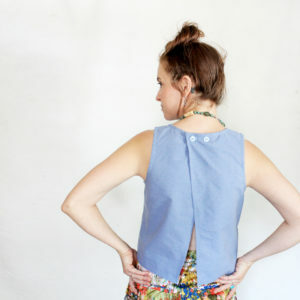 This pattern is so fun and couldn’t exemplify my personal style any more. 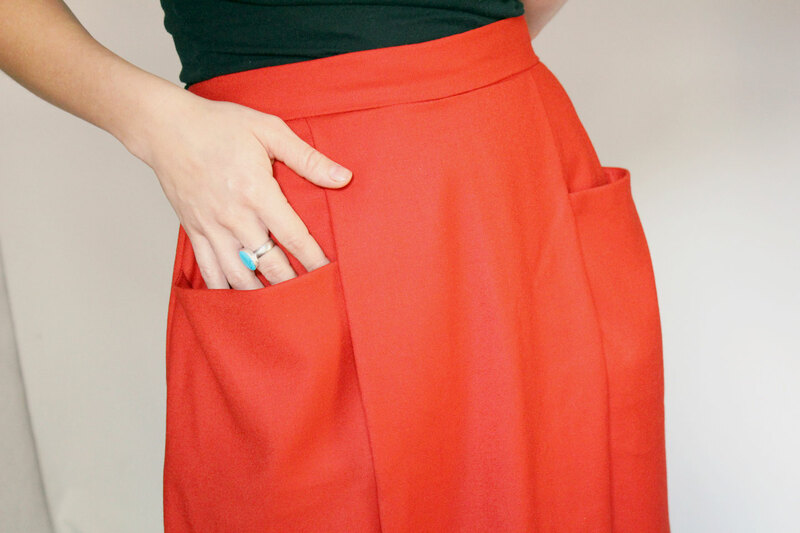 The Patti Pocket skirt is a combination pleated + flared skirt with popped – out, deep front pockets, a high waist, hem facings, and a side seam zipper. This pattern offers 2 views. 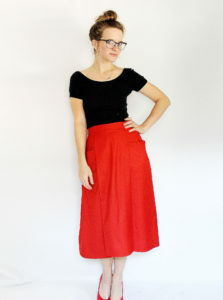 View A is a shorter, flirty above-the-knee length. 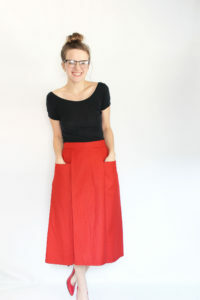 While View B is a longer, on trend midi length. 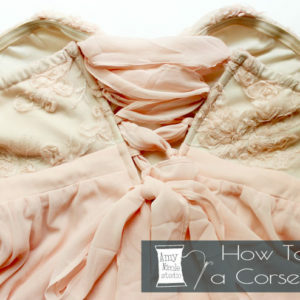 This pattern can be sewn in a wide range of fabrics, and could easily be dressed up or down. 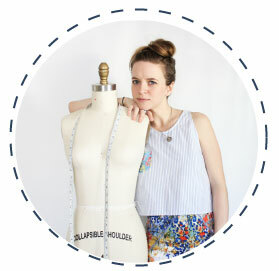 Each Amy Nicole pattern is named after a woman who has been an inspiration in my life. This pattern is named after the ultimate inspiration, my mom. 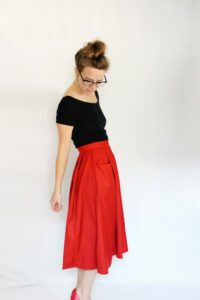 She understood the importance both of a skirt you could twirl in and good pockets. Petite in stature but not in personality, she could always be found in the center of the dance floor (usually doing the robot). I miss her very much. 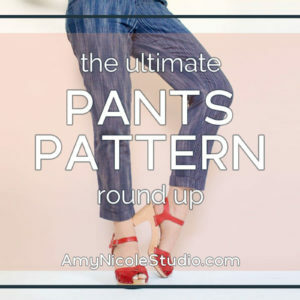 To read more about what makes Amy Nicole Patterns unique check out this page. 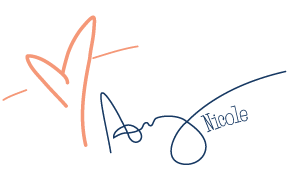 – My amazing graphic designer Chelsea Lott, who was able to see my vision out of the jumbled mess of an outline I gave her and make it into something beautiful. – My husband, who doesn’t really understand a thing about the sewing industry but supports me and encourages me and listens to me blab about seam allowances regardless. – My fantastic testers, whom you will get to meet in a couple days, and who were incredibly patient with this newbie designer. – A few lovely online pals that were quick to offer advice and encouragement: Elise, Allie, and Amy. I truly hope you love making this pattern as much as I loved creating it. Watch this space for the tester round up later this week and news of a holiday-themed sewalong starting in December! Congrats on your first pattern!